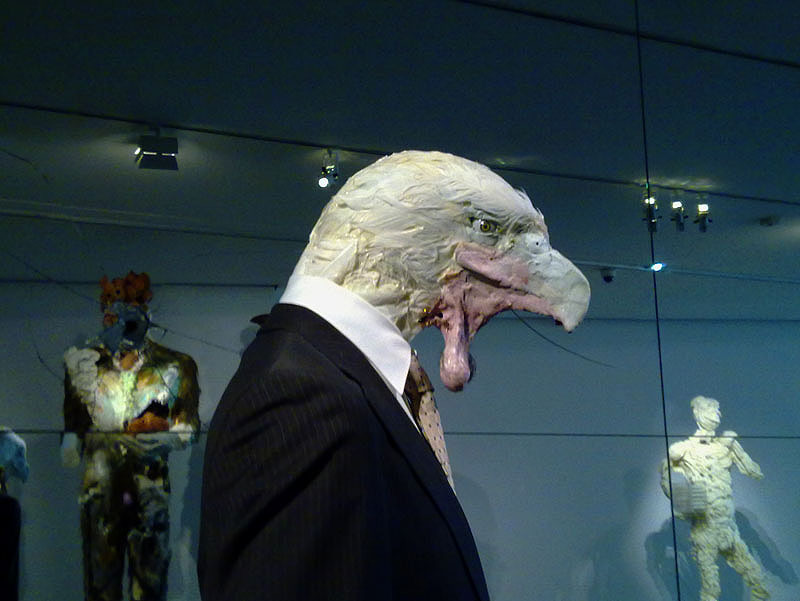 Eagles dressed in suits, broken mirrors, huge hairy giants, and face-less heads. 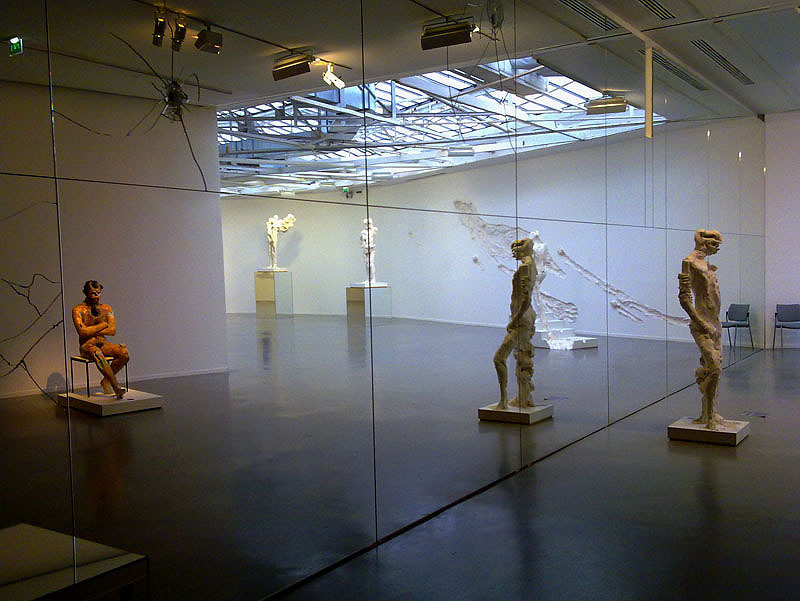 These were just a few of the strange and wonderful things to ponder at David Altmejd’s exhibition, FLUX, at Museé d’Art Moderne de la Ville de Paris. As you walked through the exhibition it becomes clear that his interests lie in the natural sciences, David Lynch movies and architecture. 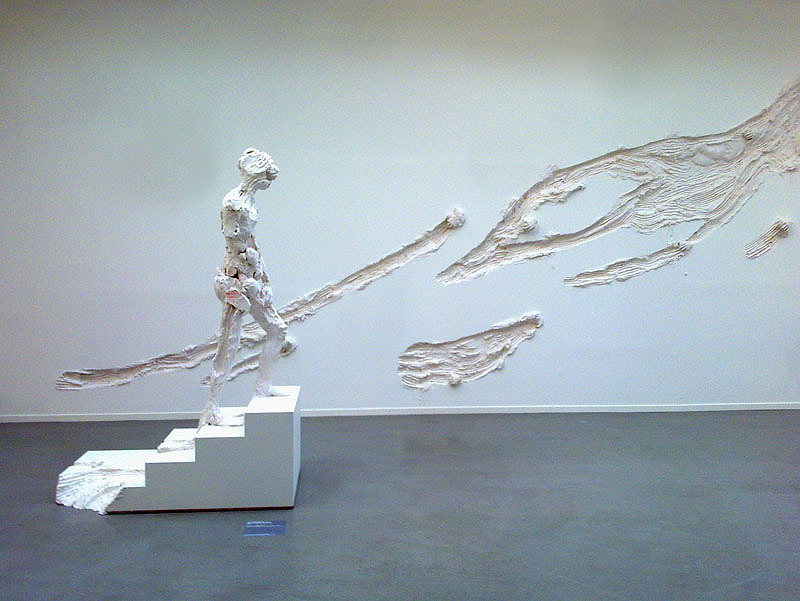 Below are a few images from the exhibition. Example of taxidermy or an extra from a sci-fi post apocalyptic movie? 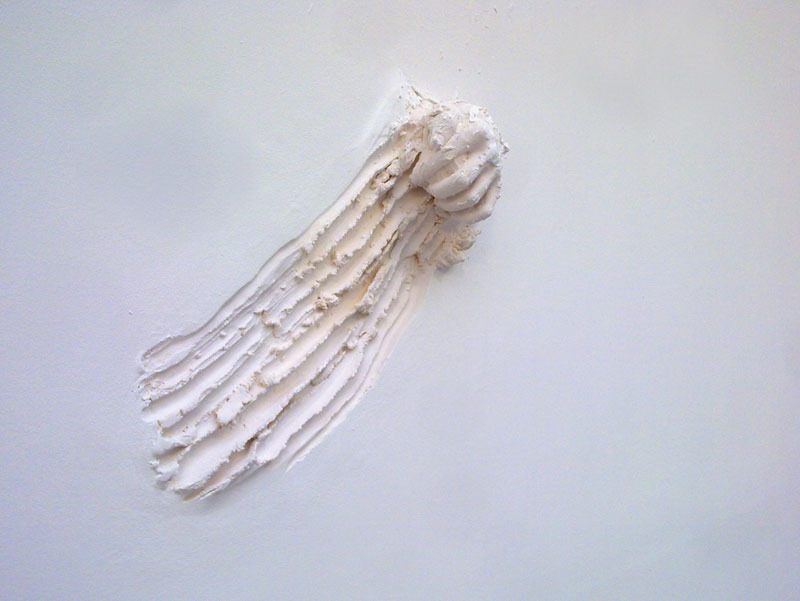 A beautiful sculpture that was embedded over an entire wall. Huge scratches and voids pulled out from the plaster looks as if it was used to construct this haunting figure at the top of a staircase. 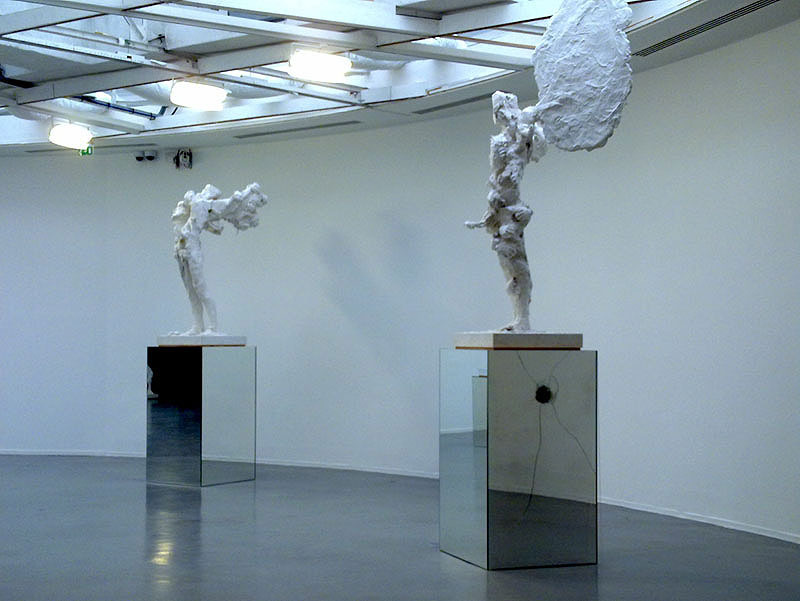 Mirrors were strategically placed throughout the exhibition giving the viewer a sense of unfathomable space which these human-like forms can inhabit. 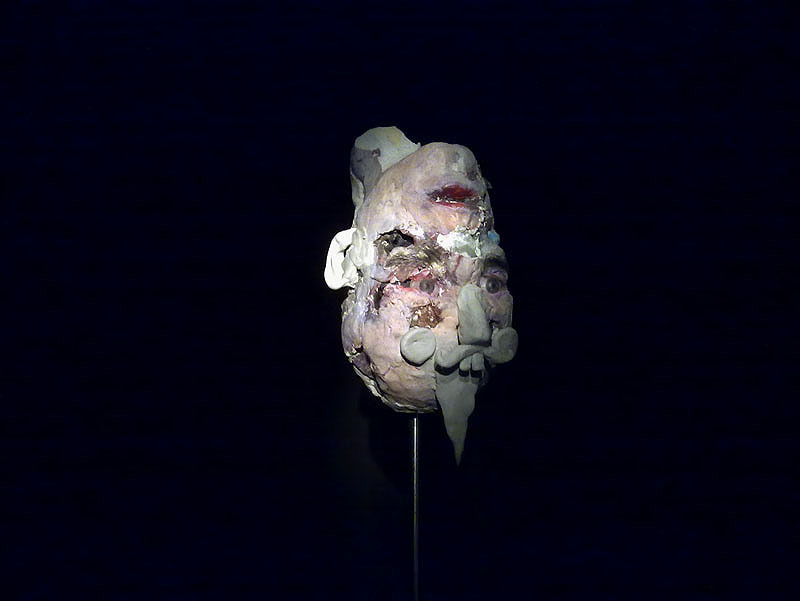 Sculptures of hollow heads with blown out faces, fake hair, and a red apple. The voids in the heads reminds one of the effects of zero gravity according to what is depicted in sci-fi movies. 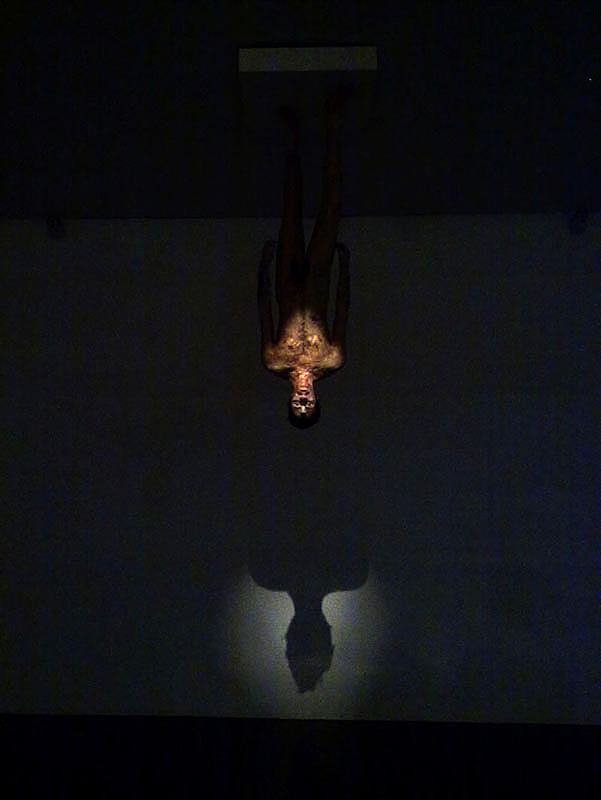 A figure hangs precariously from the ceiling with a lone spotlight on him. 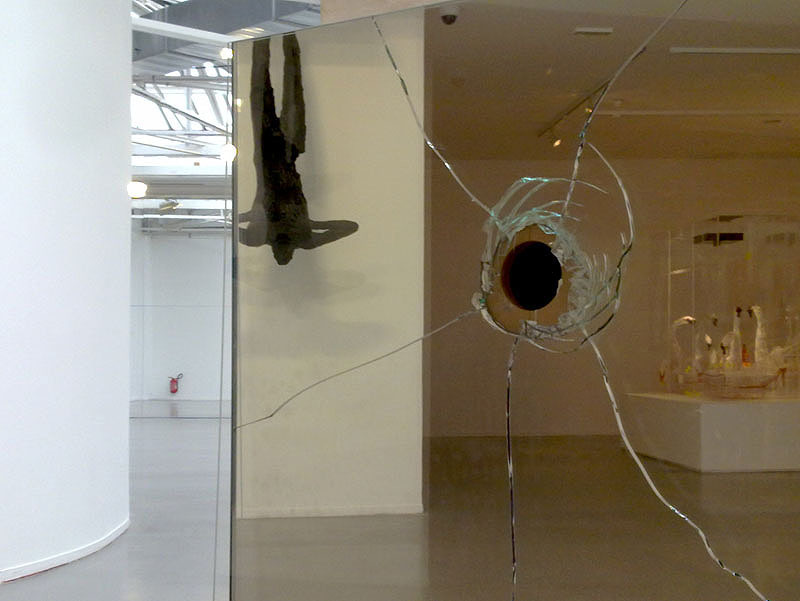 The exhibition ran from October 10, 2014 to February 1, 2015.